These are the practices most commonly taught when you are new to meditation, although that doesn’t mean that they’re simple to master! The emphasis is on focusing your mind on a single object, so that all of your scattered energies calm and integrate. Common objects of concentration include bodily experiences (used in mindfulness exercises), the breath, a candle flame, or a sound. Transcendental Meditation (TM) uses the 'sound' of an internally repeated syllable (or mantra) as its focus. These practices are designed to help you to develop helpful states of mind and positive emotions. In the Buddhist tradition the best known of these are the four Brahma Viharas (known in Tibetan as the Four Immeasurables) of loving kindness (metta), compassion (karuna), sympathetic joy (mudita), and equanimity (upekka). Rather than focusing on a single object of concentration, these kinds of practice open up your awareness to your whole experience, simply being receptive to the way ideas and feelings arise and pass away without getting caught up in them. 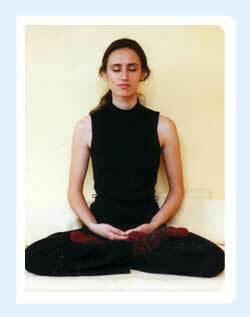 Zen meditation (zazen), just sitting, and Tibetan practices such as Dzog Chen and Mahamudra are of this type. The goal of meditation is often described as the development of Insight, and a traditional path to such insight is reflection on the nature of reality when in a profound state of meditative concentration. When your mind is still and clear it can be brought to focus on issues like the way that things change, and lead you to a more profound understanding of your experience. * I’ve not come across any meditations which don’t fit into these categories, although more complex practices often include aspects of more than one category. If you can think of a practice that doesn’t fit into any of the above I’d be really interested to hear about it.